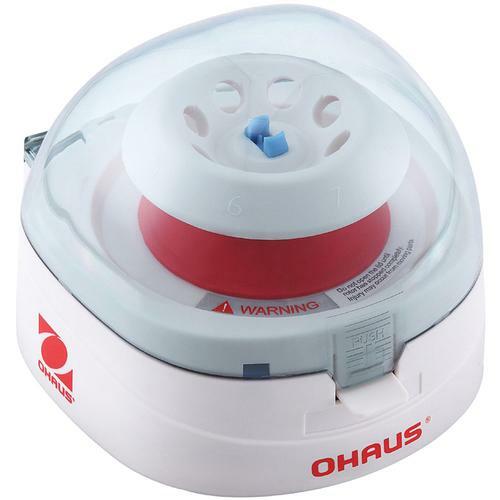 Powerful and Convenient Mini Centrifuge for Simple and Rapid Life Science Separation Applications! A Quiet Motor and Rubber Base Assure Quiet Operation—With a low voltage power input, quiet motor, and rubber base that absorbs vibrations, Frontier 5306 keeps operational noise to a minimum and reduces disruptions in the laboratory. Multiple Protective Features Ensure the Safety of Centrifuge Operator—Frontier 5306 has many safety attributes, including a low voltage power input, sturdy lid, and two safety switches which immediately stop the rotors should the lid open while in rotation. An imbalance sensor also stops the centrifuge if the rotors become imbalanced or sudden shock occurs, protecting the operator from being injured by the high-speed spinning rotors. Simple One-Step Operation—Frontier 5306 takes simple operation to a new level. Once the device is powered on, simply place your sample in the centrifuge, close the lid, and it will begin to rotate. Not even one button press is needed in order to separate your sample.